After the arrival then meet Serendivus Representative at the airport arrival lobby. Negombo is a major city in Sri Lanka, on the west coast of the island and at the mouth of the Negombo Lagoon, in Western Province, Sri Lanka. It is the fourth largest city in the country after the capital Colombo, Kandy and Jaffna. 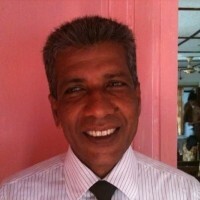 It is approximately 35 km north of Colombo City. Negombo is known for its huge and old fishing industry with busy fish markets and sandy beaches. Climb the citadel of Sigiriya which was built in 5th century. Sigiriya is treated as one of the most remarkable creations in the world, built by King Kashyapa (477-495 AD). Path through the gardens along Stone stairways come to the Lion Gate. Only the rock carving and the brick structure is evident today of the lion’s mouth through which millions of people have walked to admire the beauty of this magnificent citadel. The landscaped gardens around Sigiriya consist or water gardens, boulder gardens and terraced gardens. The usual approach to the rock is through the western (and most elaborate) gate. Visit Polonnaruwa the second capital of Sri Lanka from 1017 A.D to 1235 A.D. Polonnaruwa is also a UNESCO world heritage city. You will be able to see the ruins of Royal Palace king Parakramabahu, Audience Hall, the statue of king Parakramabahu, Watadage, the Galpotha,Parakrama Samudraya (Sea of Parakrama) which was built by King Parakramabahu I, covers an area of 5940 acres and the elegant Lotus pond was built in 12th century. Sight the villagers Initially one wades through a shallow stream and thereafter crosses a wider tributary in a catamaran of an obliging farmer to inspect Chena cultivation (slash and burn agriculture). Enjoy the farmer's humble hospitality. With the guidance of the farmer, pick some fresh vegetables from the plot and join in the preparation of a simple meal prepared in the traditional method using earthenware pots and firewood as fuel. This is great opportunity to sample authentic local cuisine. Visit Spice garden in Matale to see different spices for which Sri Lanka is famous for. Clients will be able to see different spices and how some of these spices are grown and processed. Witness a Cookery demonstration as well. Kandy is a major city in Sri Lanka, located in the Central Province, Sri Lanka. It is the second largest city in the country after Colombo. It was the last capital of the ancient kings' era of Sri Lanka. Kandyan dance encompasses various dance forms native to the area called Kandy of the central hills region in Sri Lanka. But today it has been widespread to other parts of the country. The dancers wear an elaborate costume including a headdress. The dancer's chest is only covered by a decorative beaded net. This costume is known as the “Ves” costume. The headdress incorporates a metallic front which makes the dancer look taller than he is. The complete costume also includes anklets that produce a metallic rattle each. 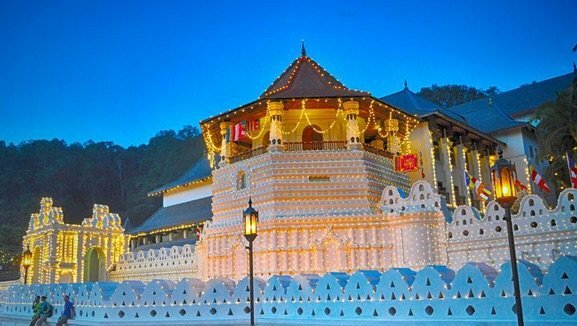 Temple of the Sacred Tooth Relic is a Buddhist temple in the city of Kandy, Sri Lanka. It is located in the royal palace complex of the former Kingdom of Kandy, which houses the relic of the tooth of Buddha. Kandy was the last capital of Sinhala Kings. The valley of Kandy is surrounded by magnificent hills which made it as the last bastion. Today Kandy offers its visitors rich collection of art and craft and historical buildings. It includes a collection of ancient temples buildings, handicrafts, souvenirs, bazaar and gem museum. Sri Lankan Tea - Tea was first planted in Sri Lanka in 1824 at the Botanical Gardens at Peradeniya, when a few plants were brought from China. More were introduced from Assam in 1839. In 1867, a Scottish Planter named James Taylor planted tea seedlings on 8 hectares of forest land, in the Loolkandura Estate. In 1873, the tea export industry of Sri Lanka began with a modest 23lbs being shipped to London. Tea will grow only on rolling terrain and is classified be elevation into low grown, medium, grown, high grown into 3 main groups. Nuwara Eliya is located at the heart of the hill country 6182 feet above from the sea level. It is still very much like an old English town with styled Bungalows and buildings. The cool calm climate, gorges rolling tea plantation which makes the best “Ceylon tea” and the breathtaking beautiful waterfalls makes Nuwara Eliya one of the most beautiful town in the world. Nuwara Eliya - The ‘Little England’ of Sri Lanka, is set against beautiful backdrops of Mountains, Valleys, Waterfalls and Tea Plantations. It is supposed to be one of the coldest places on the island, but it is really just like an English spring day, although the temperature does drop at night. All around Nuwara Eliya you will see evidence of the British influence. Houses are like country cottages or Queen Ann style mansions. 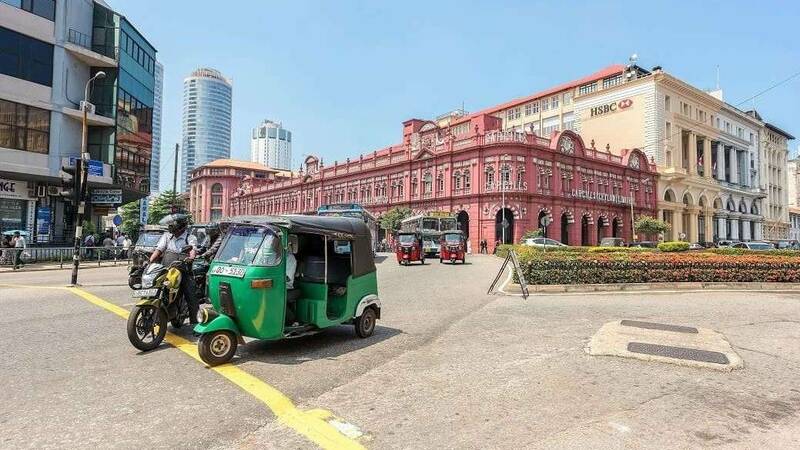 Colombo like many capital cities in developing countries is fast changing its face. Almost overnight, skyscrapers arise from where old buildings once stood. Yet, in some parts, the old world charm is retained. For example, there is a 100-year-old clock tower and several British built colonial buildings.